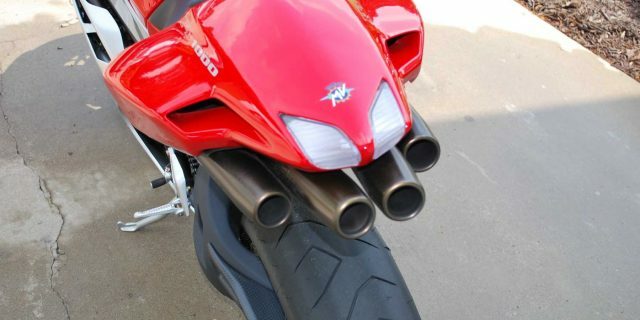 This bike really is motorcycle art. Not something you see on the street very often. 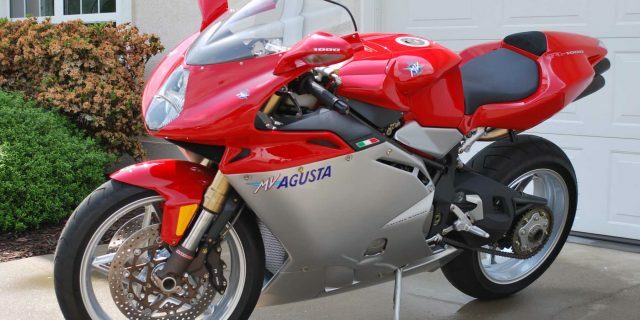 The F4 MV Agusta is Italian made and often called the Ferrari of motorcycles. The engine was actually derived from a Ferrari Formula One engine. I ride this bike a couple times a year just for a quick thrill. The 2007 MV F4 1000R set a speed record for a 1000 cc production bike during the 58th Annual Bonneville National Speedweek event in August 2006. Top speed was 187.726 MPH. I have 700 miles on this nearly perfect F4.